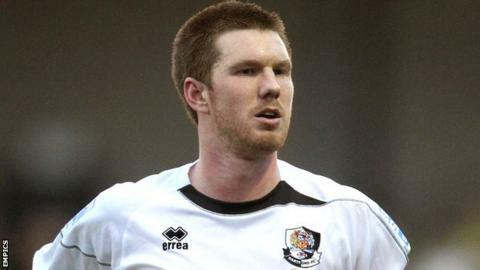 Dartford moved to third in the table after two goals in a minute just before half-time helped them beat Mansfield. Elliot Bradbrook put the hosts ahead with a low 20-yard drive in first-half stoppage time. Danny Harris then fed Ryan Hayes who fired past Liam Mitchell from the same distance to make it 2-0. Former Mansfield striker Adam Birchall hit a post, while the closest the Stags came to scoring were long-range efforts from Matt Rhead and Matt Green. Both shots were saved by goalkeeper Marcus Bettinelli, who rejoined Dartford on loan from Fulham on Friday for his second spell at Princes Park. Tenth-placed Mansfield have now won only once in their last six Blue Square Bet Premier matches, while Dartford ended a run of three games without a win. "I'm absolutely delighted, especially after Tuesday's result (a 4-1 FA Cup defeat by Forest Green Rovers). "We rotated the squad, the guys have taken it in a professional manner and I'm delighted for them. "We put on a real good performance in front of a big crowd. "There were also some local pubs who realised the game was on television and I hope what they've seen they enjoyed and hopefully there'll now be some interest from people who haven't been here."